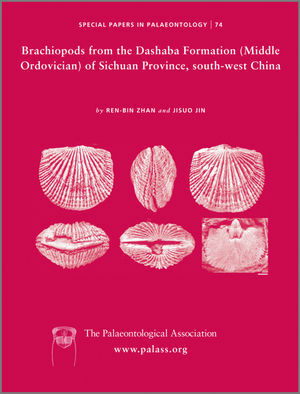 Studies the Middle Ordovician Dashaba Formation in southern Sichuan Province, China. Investigates the 50m-thick succession of calcareous and silty mudstones with calcareous nodules and limestone lenses which contains rich, diverse, brachiopod fauna. Brings together researchers, geologists and enthusiasts who continue to find material of significance. Includes 16 plates, 2 tables and 17 text-figures. Ren-Bin Zhan and Jisuo Jin are both members of The Palaeontological Association. 2. Geological and Stratigraphical Setting. 4. Brachiopod Taphonomy and Palaeoecology.